Best recognized as added flavour for pizza, oregano is high in antioxidants and flavonoids and is reported as an antimicrobial. This non-toxic herb has been used to help with digestive problems, diarrhea, and gas. 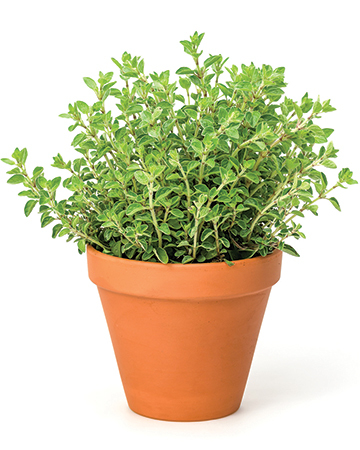 Research using oil of oregano has also shown antifungal properties. 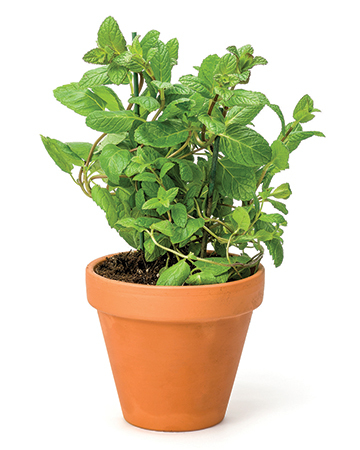 Oil of Oregano is more concentrated than oregano, so keep the dosage small. For oregano drops made especially for pets, check out Orega Pet (oregapet.com). This aromatic herb has historically been used to help soothe upset stomachs, reduce gas, reduce nausea, and help with travel sickness. In addition, research is being done which shows that it may have radioprotective effects and can be used to reduce radiation-induced sickness and mortality in animals undergoing chemotherapy. There is no reported toxicity for dogs although very high doses may result in liver or kidney problems. This dog-approved leafy herb, well-known for its delicious role in pesto, has antioxidant, antiviral, and antimicrobial properties. 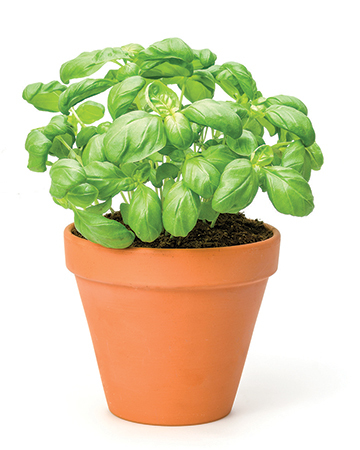 The next time you’re cooking with fresh basil, sprinkle a pinch of the chopped herb atop your dog’s dinner. 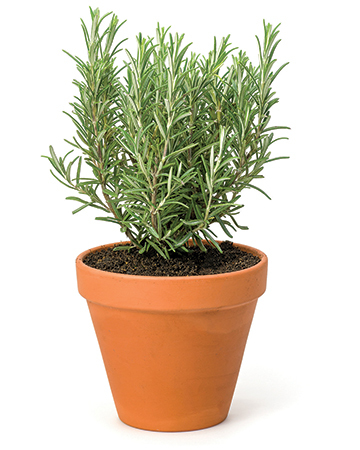 Another leafy herb commonly seen as a garnish on our plates is a source of flavonoids, antioxidants, and vitamins. It also contains lycopene and carotenes. 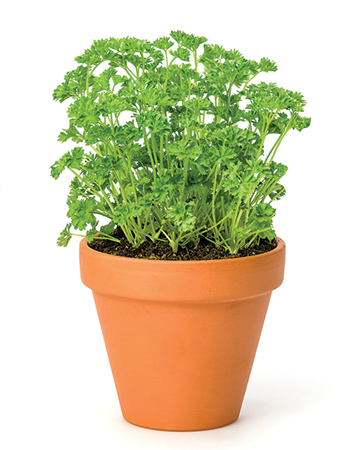 Often added to dog treats as a breath freshener or used to soothe the stomach, parsley has a long history of use with dogs. Note: “Spring parsley,” a member of the carrot family that resembles parsley is toxic to dogs and cats due to high levels of furanocoumerin which can cause photosensitisation and ocular toxicity. 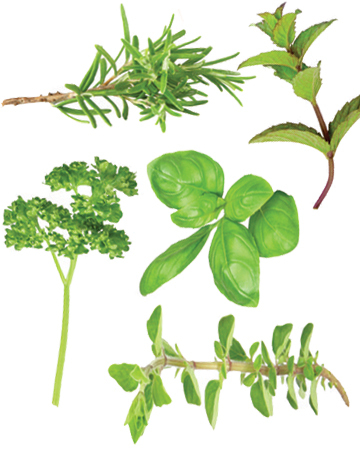 Used fresh or dried, adding a small sprinkle (a pinch for small dogs, a teaspoon for large dogs) of these herbs to your dog’s food is a safe way to give them a little boost in nutrition. You can also use them to make your favourite dog treat recipe a bit healthier and more flavourful. The flavonoids and antioxidants found in many of the herbs in this article can help the body’s immune system combat some of the diseases commonly associated with aging, including canine cognitive dysfunction, cancer, and reduced immune function. As noted, however, there are potential downsides and they should be used with care. Tincture and oils for many herbs are available at your local health or natural foods store. These are usually a more concentrated source, so if you wish to use tinctures, oils or higher levels of fresh or dried herbs it is best to work in conjunction with your dog’s health care professional. Sometimes the monitoring of a dog’s blood work is necessary to ensure continued safe use. For maximum efficacy, make sure the herbs and spices you use are not old. If the spices have been languishing in your cupboard for years, toss them out and replace them; their health-affirming properties will be diminished if they’ve been kicking around for a while. A naturally occuring compound found in cannabis or hemp, CBD or cannabidiol is non-psychoactive (meaning it doesn't get your dog high), and has been shown to reduce pain, anxiety, inflammation, and even epilepsy-caused seizures in dogs. CBD comes in many different forms, but CBD oil is the easiest method for measuring the dosage, especially when using CBD for the first time. 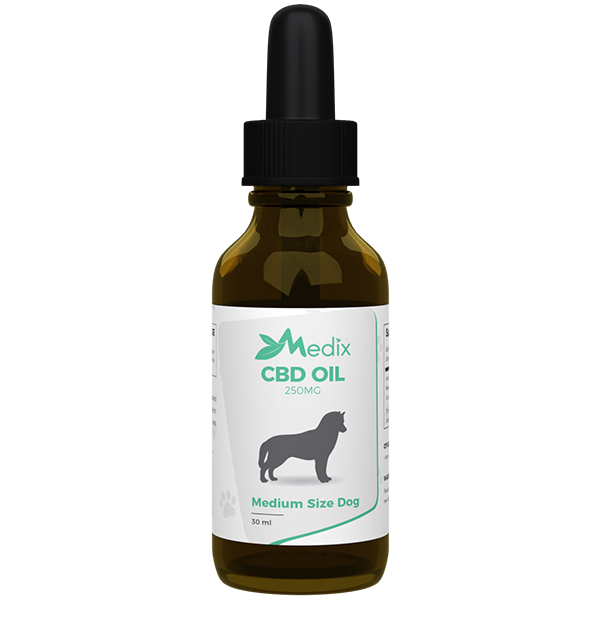 Medix CBD also adds bacon flavouring to their dog CBD oil, so even the pickiest pups will enjoy it. Add a few drops to your dog's water, but start with a small amount.